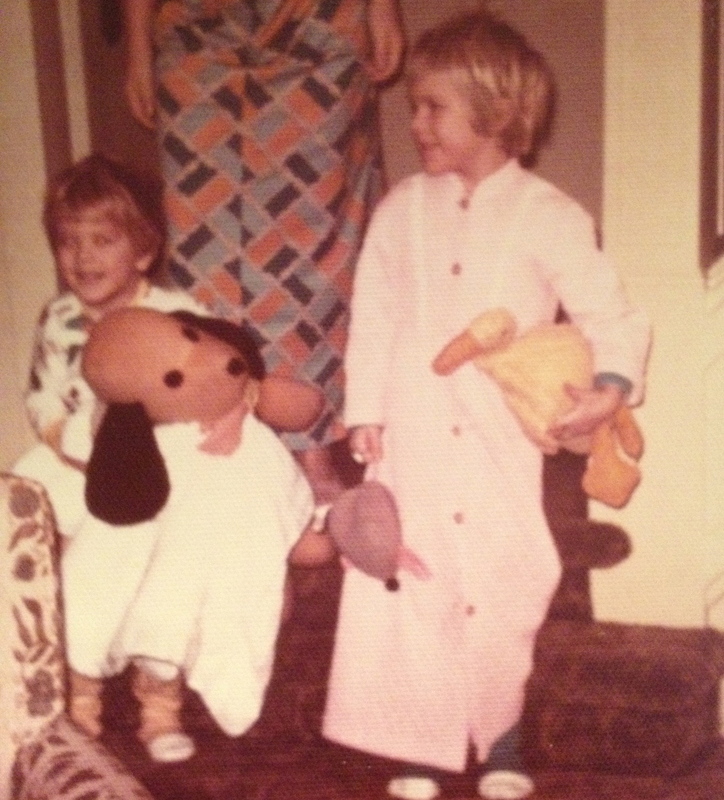 Me and Duck in our salad days – the 70s. My brother and his dog Henry were close too. My best friend growing up was a duck. A stuffed duck named………Duck. My Duck appears in all our family Christmas photos, traveled on trips, and earned me a nickname from a friend’s family…you guessed it, Duck. And yes, I still have him; he has a place of honor in my bedroom. But I no longer sleep with him, I gave that up in my 20s. I’m proud to say my boys are followed my lead. Max’s best friend is a stuff lion named Lion. 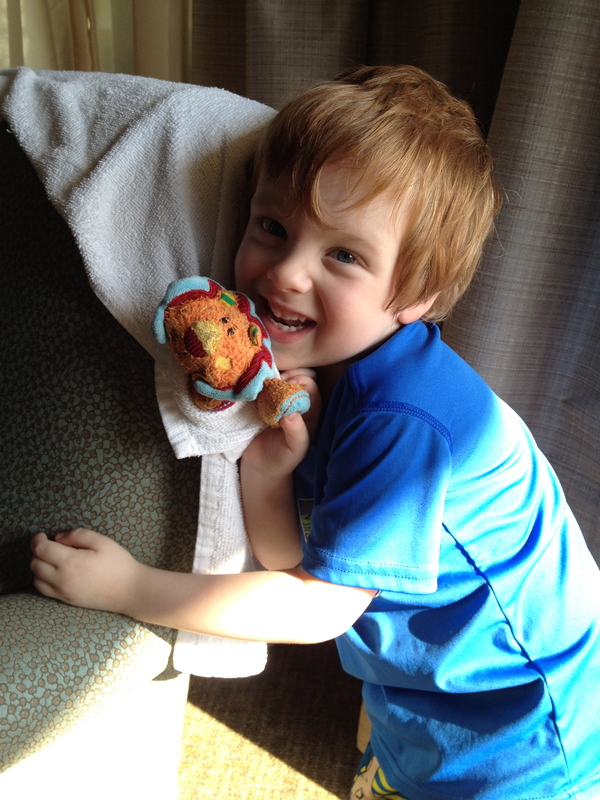 He’s often tells me, “I love you mama, but Lion is my best friend.” Calvin’s favorite stuffed creature is Little Orange Lion. The Lions go everywhere, are well loved, and look a little gross. And yes, they have met my Duck. Sometimes they have secret meetings when we are all asleep. Max’s Lion was a gift when I was pregnant. Max wraps him presents at Christmas (toys that we already own) and recently made him a birthday card. Word is that he’s 45. Sometimes Max makes him take a nap. Recently, he ended up at the swimming pool where he was forced to sit on the side. 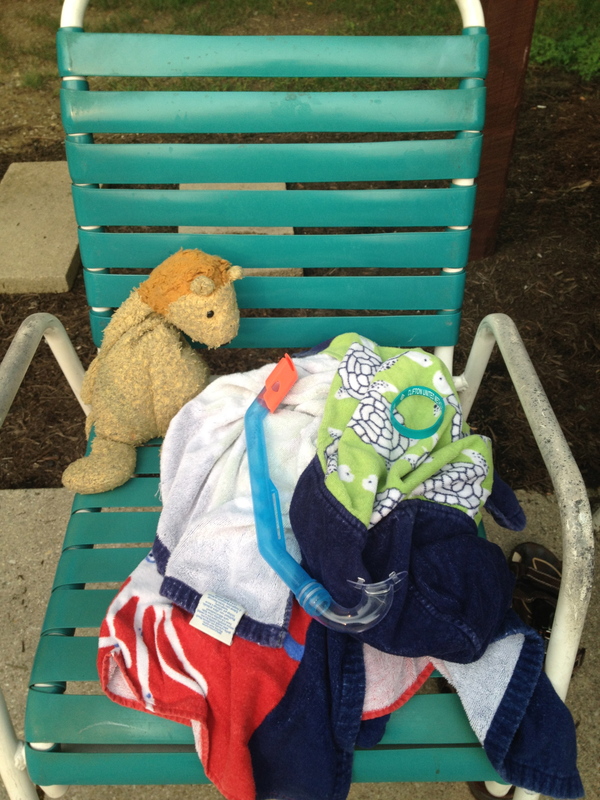 Lion hangs at the pool. Little Orange Lion was picked out by Calvin when he was gifted some birthday money last year. He already had the identical toy who became Little Orange Lion’s Mama. She does not live the life that Little Orange does. Calvin makes her stay home and wait for her offspring. Little Orange Lion is naughty. He hides when he needs to take a bath. He also takes clandestine trips; he once went on a school field trip secretly stuffed in Calvin’s jacket. Trixie has a favorite bunny Knuffle, that she brings to school for show and tell. She gets to school and Sonja has the same bunny! A fight ensues. The teacher takes the bunnies until the end of the day and then they are returned. 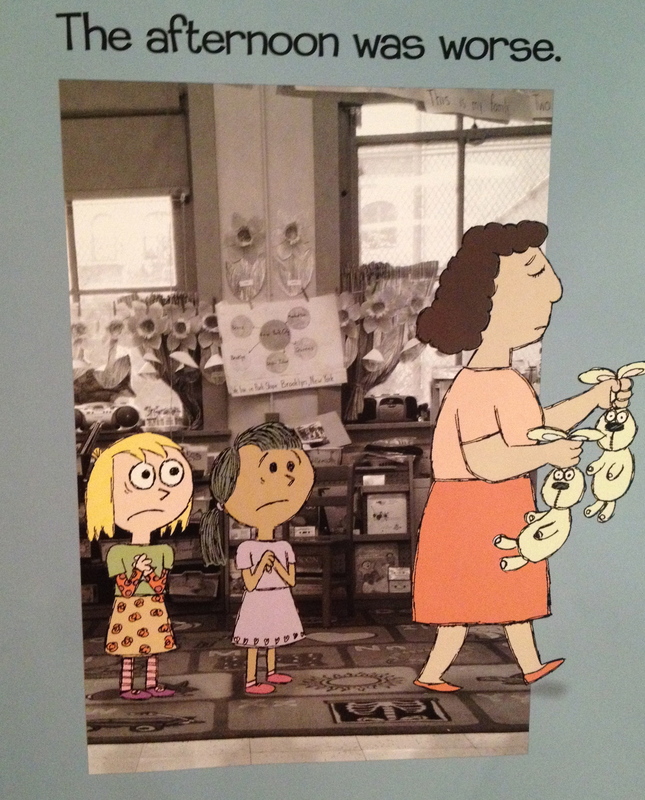 Willems’ illustrations are cleverly placed in real life settings: a school, a home, and New York City! Trixie and Sonja lose their bunnies. In the middle of the night, both girls realize they have the WRONG bunnies. Their bleary-eyed fathers trapse across town for the switch. The next day, the girls and the bunnies begin a beautiful friendship. This book is funny and perfect for all of us who have had that favorite stuffed animal. At this very the moment, Little Orange Lion is under the care of the U.S. Postal Service. He decided to stay in New Jersey for a few more days of vacation. Imagine my relief when he was found. What was your favorite stuffed animal? Calvin and Little Orange Lion get real in Florida. Check out all things Mo Willems.